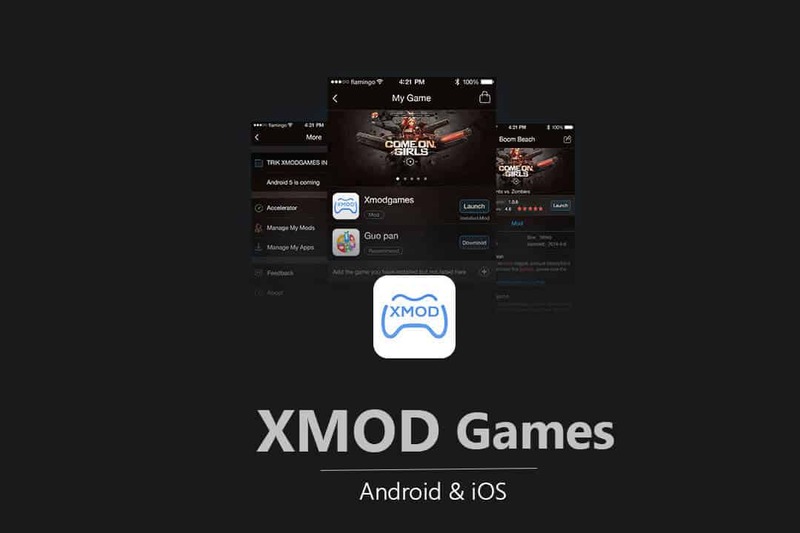 XMOD games is a super mobile game assistant tool with various mods for Jail broken idevices and Rooted Android device. This App comes with mods/accelerators for hot games. The App automatically detects all the installed games in your device & checks if there’s any assistance available for that game. It is much easier to install mods and launch the game. For COC lovers, it’s an awesome tool with Auto Search, Keep Active, Sandbox Attack and more! I am using Android so I do this tutorial on Android. But this application is also available for iOS. You can do the same on your iDevice! 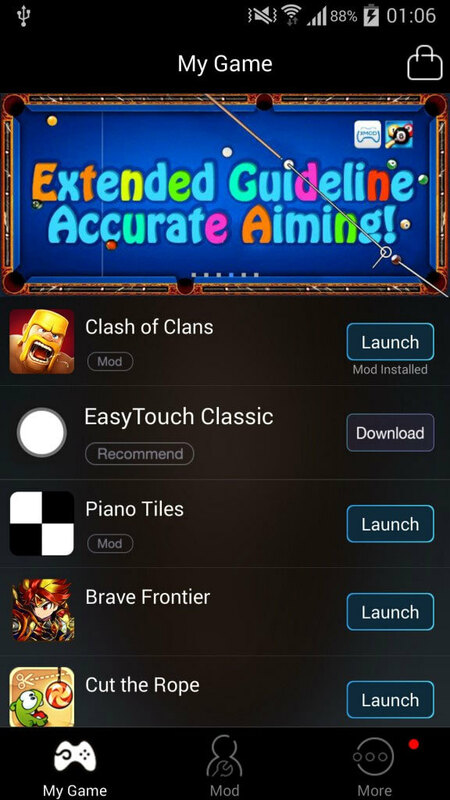 1.1.3 How to update Clash of Clans mod? Clash Royale Show Rival Elixir :With this feature, you can see real time elixir of rival, planning attack time more wisely and precisely. XMOD Supported iOS version: All the iOS versions with Jailbreak support. 2. Find villages with outside TH: For sniping Town Hall and boosting your trophies by using the Max Town Hall Distance from Edge feature. When you open this feature, where will be a scrollbar show up. The number on the scrollbar means the distance (tile) from the TH to the corner. I think you should choose a number from 1-4. 3. Help your village be always online (Keep Active): This feature can help your village remain online and cannot be disturbed by other players. 4. Allow you to sandbox attack other players for practicing (Sandbox Attack): This feature is super awesome! Help you simulate an attack whenever you visit or scout a village. Perfect for testing before doing an attack in Clan war! Do not waste even a star! Choose certain troops for the enemy Clan Castle (max 35 troops). Pick troops for your sandbox attack. You can pick all troops you want with unlimited number of them. From now, you don’t need to train troops before doing the attack. Perfect for testing your attack strategies. See traps in live matches: Now you can even see hidden traps and Teslas while you are doing a real attack! Awesome! XMOD for iOS (Requires Jailbreak): Watch here. 2.3.5 other changes are not yet released. Step 1. Install the App as mentioned below. Step 3. As you see, the application will show up the list of games which can be modded. Tap on the desired App. Lets tap on Clash of Clans menu to the next step. (Do not tap on the Launch button or the game will be launched). Step 4. 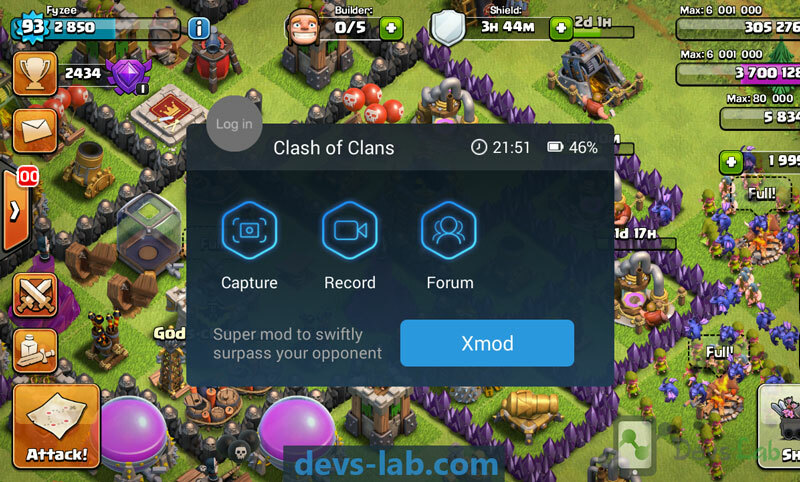 Then tap on the Install Mod button to install Xmod games for Clash of Clans. It will take a while, from 5-10 seconds. Step 5. Now you can click Launch to start the game! You can see a small robot on your screen (at previous version, it is a X button). Also Read: What is PUBG Game? Every zones, compact and concepts explained. Solution 1: Clean XMG data ->Restart XMG->Install the latest COC Mod. Install the latest COC from Google Play. Open Xmodgames Allow root access. 3. WApp not detecting the installed games (no launch button)? Firstly, make sure you have downloaded the game. If you have downloaded the game, you still cannot detect and no “launch” button. We recommend you download the game from US store, then open the game on xmod, and reinstall the mod again. Open Xmodgames and turn the accelerator “ON” in “More” page. Start the game through Xmodgames. Tap the floating window(Xbot) and you’ll see the “Accelerator” button. Tap “Accelerator” button and set the value. Remember that the accelerator is not working on server-side games, COC, Boom Beach etc. Please try to clear data of Xmodgames in “applications” (settings > applications) and then reinstall. 6. Why I can’t see the XBot when I start the mod. For MIUI, Huawei, Huawei EMUI2.X users, please give permission of pop-up windows to Xmodgames first. Let us know if you know anything else about this awesome App. This App is an assistant tool not a hacking tool, which helps players pursue their goals better and provide players with a better game experience. Don’t worry you won’t get banned for using this tool.